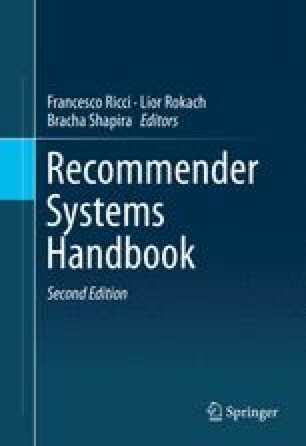 This chapter aims to provide an overview of the class of multi-criteria recommender systems, i.e., the category of recommender systems that use multi-criteria preference ratings. Traditionally, the vast majority of recommender systems literature has focused on providing recommendations by modelling a user’s utility (or preference) for an item as a single preference rating. However, where possible, capturing richer user preferences along several dimensions—for example, capturing not only the user’s overall preference for a given movie but also her preferences for specific movie aspects (such as acting, story, or visual effects)—can provide opportunities for further improvements in recommendation quality. As a result, a number of recommendation techniques that attempt to take advantage of such multi-criteria preference information have been developed in recent years. A review of current algorithms that use multi-criteria ratings for calculating predictions and generating recommendations is provided. The chapter concludes with a discussion on open issues and future challenges for the class of multi-criteria rating recommenders.